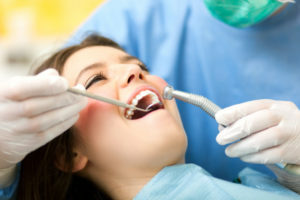 Unless otherwise directed by your doctor, it is recommended that you visit your dentist twice a year for a dental exam. Customer Care is responsible for all phone inquiries including eligibility, benefits, ID card requests, updating information and addressing claims issues. To contact, please call 800-999-9789 Monday through Friday 7:00 a.m. to 6:00 p.m. (Mountain Time). You may make changes to or cancel your plan during your group’s open enrollment, or if there is a qualifying event such as: marriage, divorce or legal separation, birth of a child, loss of employment, new employment, or death of insured. Go to the “Find a Provider” page for a map of dentists in your area. You can also search for a dentist using our mobile app. You can choose and change your dentist at anytime. ID cards will be mailed to either the member or employer, as specified, and will arrive approximately 7 – 10 working days from the time Dental Select receives the enrollment or change form. If you lose your ID cards, they can also be accessed through the Dental Select mobile app or by logging into the member web portal. After your effective date, new hire or other applicable waiting periods, you may begin using your benefits. If you are unsure, you can verify eligibility with a Customer Care representative at anytime. What services are included in my deductible? Basic and Major services apply. Preventive services are not typically included in your deductible. Can I choose to see a specialist rather than a general practitioner? Yes. Services rendered by a contracting specialist will be reimbursed as follows: after the deductible, We pay the contracting specialist according to the contracted fee schedule as payment in full. Use of a contracting provider does not guarantee that all charges will be covered under the Policy. All charges are subject to all terms and conditions of the Policy.